The Golden State Warriors have one mission now--win a ring for Boogie. 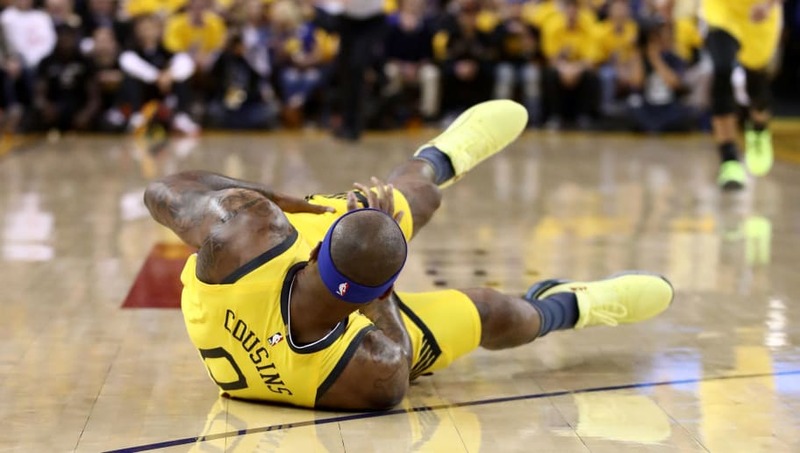 ​DeMarcus Cousins went down with a left quad injury in Game 2 of the Warriors' first-round series against the Los Angeles Clippers. After some initial hope that Cousins was merely suffering from leg cramps, it's now obvious this is likely something far worse. According to Woj, the Warriors are bracing themselves for some bad news pertaining to ​Cousins' injury. Without the MRI we cannot know the extent of the injury for sure, but the initial prognosis does not appear promising. This was only Cousins' second career playoff game after a long road back to recovery. Boogie signed his one-year 'prove it' deal with Golden State with the hope of showing out come playoff time, earning a ring and then signing a big contract this offseason. Should this news hold true, Cousins will be hard-pressed to find a large deal this summer. ​More to come on Tuesday.